The best part of the Greek Festival is the food and pastries! 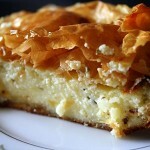 Everyone knows that the best part of the Greek Festival is the food and the delicious pastries! Here’s a taste of some of the items on the menu for this year’s festival. Choose from a variety of Greek specialties throughout the festival hours. 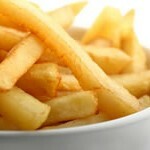 Food menus and locations are shown below. For your convenience, please note that Cash, Mastercard, VISA and Discover credit cards are accepted at many festival booths. 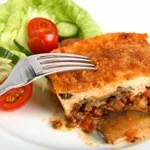 Two lines allow you to taste a-la-carte a variety of Greek foods, including gourmet specialties such as Moussaka, Pastitsio, Greek Salad and Spanakopites. 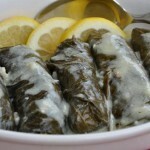 (dol-MA-des) –Tender grape leaves are stuffed with a savory meat and rice filling and bathed in a tangy egg-lemon sauce called avgolemono. (pa-STEE-cho) — Layers of imported Greek Pasta, grated cheese, and sautéed ground beef topped with a rich cream sauce (béchamel) and baked. 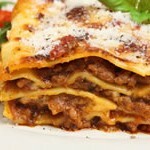 (mouh-sa-KA) — Layers of young eggplant and sautéed ground beef topped with a rich cream sauce (béchamel) and baked. 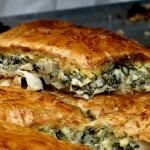 (spa-na-KO-pee-ta) — A blend of spinach, cheeses and herbs wrapped in a buttered fillo dough. (tee-ROH-pee-ta) — Blended cheeses wrapped in a buttered fillo dough. 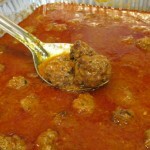 (kef-TE-des) — Spiced Greek meatballs. 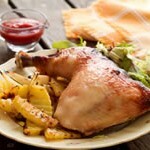 One-fourth chicken baked Greek style, with Greek lemon potatoes. 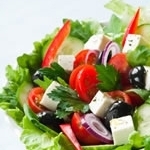 Tossed with traditional Greek dressing and topped with feta cheese and black olives. 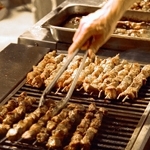 Entertain your taste buds Greek style with favorites such as Souvlaki, Loukaniko, Gyro, Greek Lamb Burger, and Pastries. 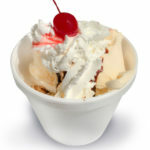 The Outdoor Tents host notables such as A Taste of Athens, Baklava Sundaes, and more. 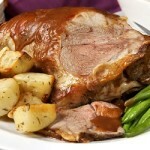 Succulent roasted lamb served with lemon potatoes, green beans and a Greek salad. (GYEE-row) — Flavorfully seasoned meat roasted and served on Pita bread, topped with a cucumber-sour cream sauce, lettuce, tomatoes and onions. (sue-VLAH-kee) — Tender pork marinated with herbs of Mediterranean origin, cooked over an open flame and served with pita bread. Delightful! 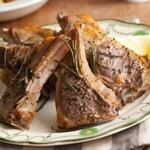 Succulent lamb chops grilled to perfection over an open flame. 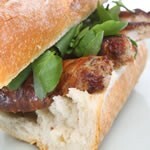 (lou-KAN-iko) — Greek sausage sandwich. Seasoned to perfection with a combination of Greek spices. Soft serve vanilla ice-cream topped with crumbled baklava and drizzled with chocolate syrup.